Not too long ago, drones were merely a novelty—a cool toy for the wealthy, an easy way to take aerial photos, or perhaps even a clandestine way to spy on your neighbor. Fast forward just a few years, and the business case for drone technology has made itself very clear. In fact, you’d be hard-pressed to find a business that wouldn’t benefit from drone service—especially when it comes to drones powered by artificial intelligence. Using a combination of AI, machine learning, and engineering, drones have the potential to perform almost any service, and to do it faster, cheaper, and safer than any human. From food delivery to un-manned rescue missions, the opportunities are almost endless, which explains why so many tech giants—from IBM Watson to Amazon and Facebook—have already hopped aboard. The following are just a few ways drones could revolutionize business, help even the field for technology-starved nations, and even save human lives. With the help of drones, humans will be able to capture and analyze footage from treacherous or vast areas of land quickly—and most importantly—without risking human lives. This comes in handy for farmers who need to monitor and evaluate the health of their crops, military forces needing to assess the safety—or danger—of potential conflict zones, and even on search and rescue missions in times of natural disaster. Imagine if drones had been available during Hurricane Katrina to quickly search both inside and outside homes for human life. Similarly, imagine if police could deploy a squad of drones to search for missing persons or potentially dangerous suspects in vast woodlands, deserts, or rocky areas. The drones don’t just help humans do jobs better—they take the dangerous jobs out of human hands altogether. Move over, USPS. Amazon is already testing plans to use drones for product delivery. But that’s only the tip of the iceberg. Outside of mail delivery, AI-powered drones can be used to deliver food or even services, such as roadside assistance and medical help. In the future, you may automatically be able to dispatch a drone to bring you fuel next time you run out of gas, or even deliver you an epi-pen or inhaler in times of medical emergency. Drones are already being used to capture footage for news, TV, and movies. In fact, taking aerial photos was one of their first substantive uses. But powered by AI, drones can do more than capture the footage. They can even process that footage to develop environmental trends or models. For instance, in the engineering sector, images can be used to build 3-D models of houses, buildings, and even power sources to ensure they will be created safely and accurately. Forget expensive security detail. Businesses of the future will be able to use teams of drones to monitor buildings and ensure they remain secure. In times of breach, drones could even capture footage of the perpetrators, follow them during their escape, and providing important information to law enforcement, such as how they look, what they are wearing, and what kind of car they are driving. Even despite the many clear business uses for drones mentioned above, one of my favorites is still this: drones could help level the playing field in the digital transformation. 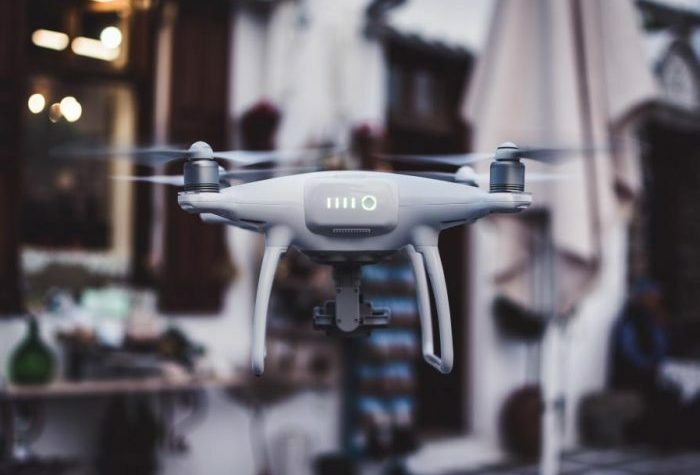 For instance, smaller companies no longer need to enlist expensive helicopters and videographers to capture footage rivaling major networks—the can simply send up a personal drone to get the same shot. Small restaurants will no longer need huge teams of delivery people to offer food-to-home service. They can send out a team of drones as often as needed. Just as exciting, drones also hold promise for less developed countries that have fallen far behind Western nations in the digital age. For instance, Facebook is working on drone technology to bring wireless internet to more remote regions—drones powered by solar energy that can stay in flight for months at a time. The move could help improve access, education, and opportunity for those who may previously have been left behind in the technological age. The issue of drone development is not without controversy, including privacy and safety concerns. But there is no doubt the technology will continue to grow as our digital marketplace—with help from AI developers—continues to find new and innovative ways to use drones for the greater good.